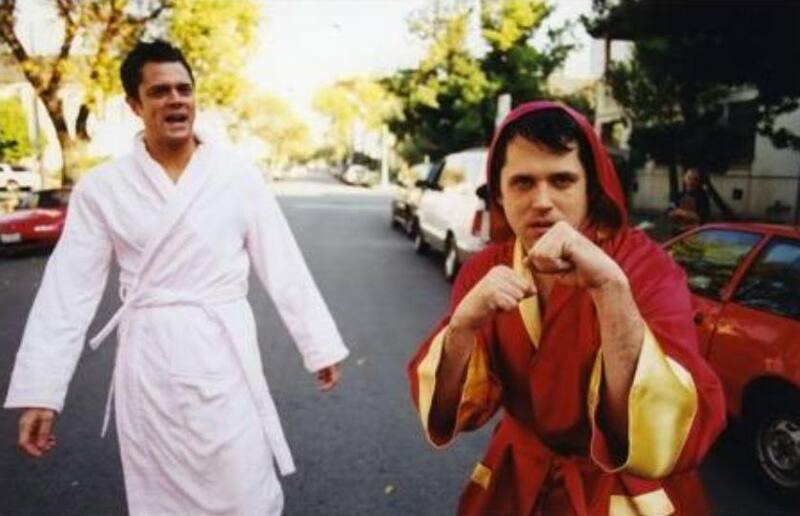 Johnny Knoxville & Jeff Tremaine. . HD Wallpaper and background images in the Johnny Knoxville club tagged: johnny knoxville actor screencap movie film jackass jeff tremaine. This Johnny Knoxville photo might contain 목욕 가운, 신사복, 비즈니스 정장, 키모노, and 기모노.